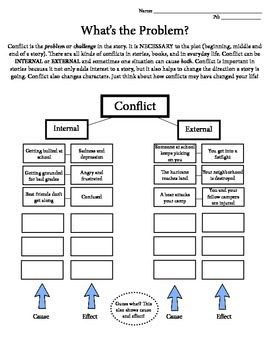 This worksheet introduces internal and external conflict first with an explanation, then with examples. Next, students are asked to concoct their own examples. 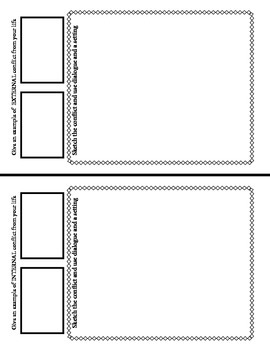 On the back, students must choose both an internal and external conflict from their life and sketch each using both dialogue and setting. This activity touches not only on conflict, but cause and effect and story elements!